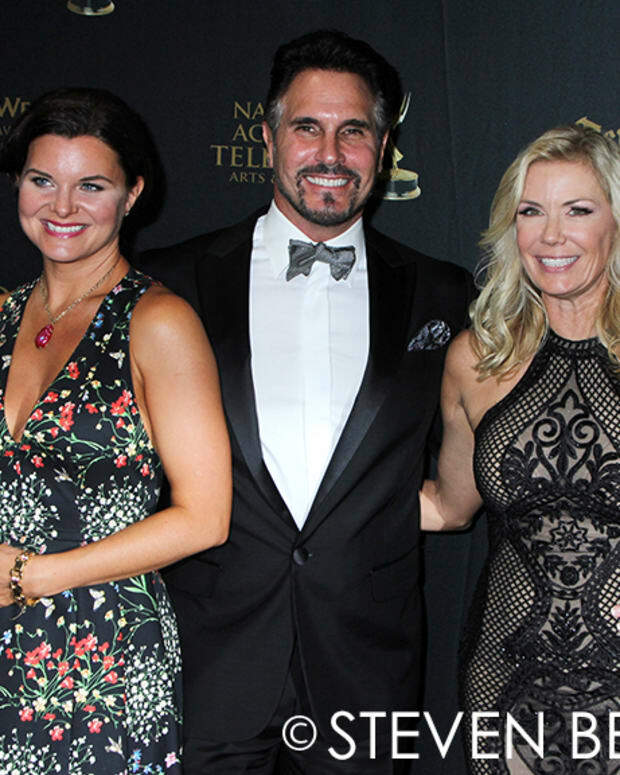 NATAS has announced the lineup of presenters for the 43rd Annual Daytime Emmy Awards. Among this year&apos;s crop are broadcasting great Larry King and The Young and the Restless legend Shemar Moore. Below are the full lists of presenters for both the May 1 main event and the Creative Arts Daytime Emmys on April 29. Larry King (Larry King Now), Rita Moreno, Mario Lopez (EXTRA), Nancy O&apos;Dell and Kevin Frazier (ET), Chris Harrison (Who Wants to Be a Millionaire? ), Sandra Lee, Julie Chen, Sheryl Underwood, Aisha Tyler, Sharon Osbourne and Sara Gilbert (The Talk), Dr. Mehmet Oz (Dr. Oz), Daphne Oz and Carla Hall (The Chew), Brandon McMillan (Lucky Dog), Shemar Moore (Criminal Minds), Dr. Andrew Ordon and Dr. Jennifer Ashton (The Doctors), Brooke Burns (The Chase), Kristos Andrews (The Bay), Van Hansis (Eastsiders), Matt Doran (Crime Watch), as well as Tamera Mowry-Housley, Jeannie Mae, Loni Love, Tamar Braxton, Adrienne Bailon (The Real). Also presenting are cast members from the four daytime soaps, including Gina Tognoni, Hunter King and Jason Thomson (The Young and the Restless), Teresa Castillo, Laura Wright and Donnell Turner (General Hospital), Karla Mosley, Pierson Fode and Jacob Young, (The Bold and the Beautiful), Camilla Banus, Billy Flynn and Jen Lilley (Days of Our Lives). Toni Tennille, Anson Williams (Happy Days), Dawn Wells (Gilligan&apos;s Island), Gordon Elliott (The Chew), Jeff Corwin (Ocean Mysteries with Jeff Corwin), Brandon McMillan (Lucky Dog), Matt Gutman (Safe Rescue), Bob Bergen (Voice of Porky Pig), Tanya Acker, Bill Bakman and Judge Patricia DiMango (Hot Bench), Christopher Kimball and Bridget Lancaster (America&apos;s Test Kitchen), Reid Scott (Turbo FAST), and Tim Kubart. Also presenting from the daytime soaps are Lisa LoCicero and Anthony Montgomery (General Hospital), Olivia Rose Keegan and James Lastovic (Days of Our Lives), Katherine Kelly Lang, Heather Tom and Don Diamont (The Bold and the Beautiful), Tracey E. Bregman and Christian LeBlanc (The Young and the Restless), Lilly Melgar (The Bay) and Kevin Spirtas (Winterthorne). Additional presenters will be announced prior to the awards show.